Call or Text Listing Agents - Kade Welfl - 605-210-0010 or Lori Caldwell - 605-641-7529 - The Real Estate Center of Spearfish for more information. 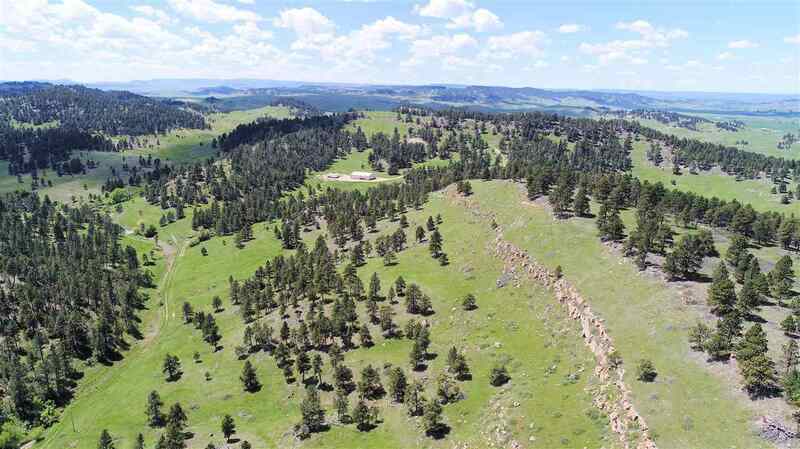 Serene beautiful private country location approximately 6 miles West of Belle Fourche. A Shop/home (shome) is situated on the stunning 256 Acres. The Shome has 5 BR and 2 BA with ample living and entertainment areas. Relax outside in privacy with breathtaking views and an abundance of wildlife or inside by the warm fireplace. The Shome offers an open living concept and a large extended shop with 14' overhead doors for parking or working on vehicles and equipment. There are also 4 RV hookups. The majority of the property is fenced, and there are multiple watering hydrant areas available for livestock. There is an additional leveled building site with power and water already to the site. This is priced to sell fast, Buyer is responsible for verifying all information on this MLS document.